Agents have been complaining that this season has been a softer season than in years past. Buyers don’t seem to be as motivated. 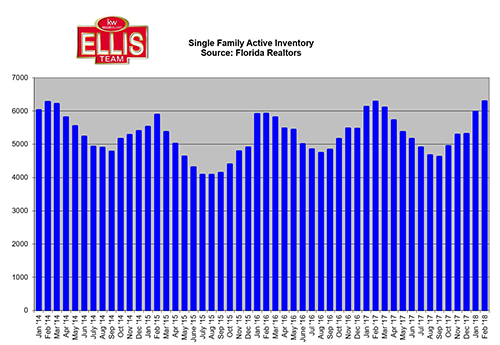 Southwest Florida real estate listing inventory hits 4 year high in February and sales prices have been flat since last year. So why is it that top teams are having a fantastic season? The Ellis Team has lots of pending sales, plenty of closings, and before it’s all over March and April should be excellent months. Other large teams are selling well too, so how can it be both a fantastic market and a slow market? The answer is it’s a great market if you know what’s really going on and you advise your clients accordingly. Listing at a set price and forgetting it won’t do your seller’s any good if the market is on the move in that price range. Statistically we have a balanced market. It has shifted from a seller’s market to balanced, or slightly favoring the buyers right now. Just like not all Realtors are the same, it’s also true with price ranges. The below $300,000 market is doing well right now and the above $400,000 has slowed a bit. However, there are sales in all price ranges. We have a sale on a listing at $1.3 Million right now. You must know what range you’re in and adjust. Aggressive marketing is critical in a changing market. As more sellers compete for fewer buyers, you want your listing to stand out. Every buyer will not purchase your home, we know this. You want as many buyers to be exposed to it as possible. Sellers mistakenly believe putting it on MLS and adding to a few online sites is all that’s needed, and all buyers will know about it. This is not true and a costly mistake. At the time of listing you set a listing price. This price needs to be evaluated. New listings may enter that market as competition. Existing listings may reduce their price, making your home less attractive. Remember, the seller sets the price, and the market determines the value. Lastly, as homes sell, new comparable sales set the market. Appraisers use these new sales as the best data sets for determining market value. These new sellers won the home selling game. Existing listings have not yet, and there is no guarantee they will either. We know this much. Homes that are marketed aggressively and priced correctly will sell. If a home is unfairly overpriced, it will not sell no matter how much marketing is used. Conversely, a home may actually sell below its fair market value without aggressive marketing. This is where a true professional comes in. To get Top Dollar, you need an agent to help you set the right price, continually monitor the market in case adjustments are needed, and market your property to actual buyers. Preferably your Realtor will have a large database of buyers from past marketing efforts, combined with finding new buyers with ads targeting buyers for your home. Together, that’s a winning combination. We have a large database of buyers because we have a popular, easy to use listing website that helps buyers find homes they’re looking for right away. Unlike other websites, it updates every minute or so, so hot new listings and price adjustments are seen in real-time by buyers. Sellers can even get an idea of what their home is worth too. Simply go to www.LeeCountyOnline.com to search for homes or find out what your home is worth. If you’re thinking of selling, call Sande or Brett at 239-489-4042 Ext 4. If you’re looking to buy, our team of friendly and helpful buyer agents can assist you as well. 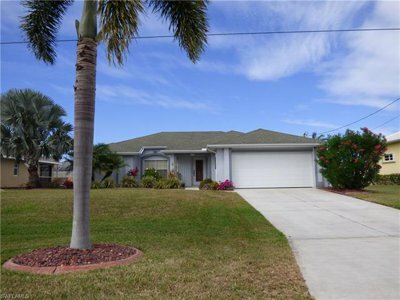 Posted in Cape Coral, Cape Coral Real Estate, Fort Myers Beach, Fort Myers Real Estate, Southwest Florida Real Estate.Tagged Ellis Team, Find out what your home is worth, Happy House Hunting, Southwest Florida Real Estate Listing Inventory Hits 4 Year High, Top Dollar.